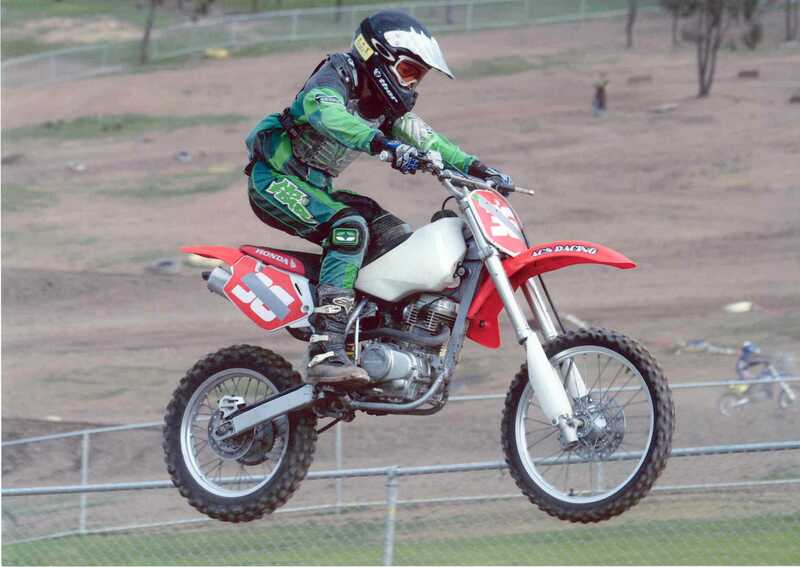 After a short time racing the Yamahonda YZ/XR100 Tyrone stepped up to the Honda CRF100. Pictures of Matt racing the CRF100 here. Pictures of Taylor racing the CRF100 here. Modifications done to make it rip here.